A start-up whisky investment firm launched by Diageo’s former commercial director plans to resurrect a 160-year-old Scotch brand after making more than £1m on crowd funding platform Angels Den. Whisky Investment Direct, which offers investors the opportunity to profit from maturing whisky, has achieved funding of £1,002,972 so-far, with a £2m maximum target. Offering investors a 20% equity stake, the firm was launched by Rupert Patrick, former commercial director for UK drinks group Diageo, and Paul Tustain, CEO and founder of Bullion Vault, a gold and silver investment company. Whisky Investment Direct will also build a “sizeable inventory of young whisky” to launch a number of brands itself, marketed and sold by a wholly owned subsidiary. Among these brands will be the 160-year-old Scotch brand James Eadie. “As more people invest into whisky, the brands can reduce the amount of working capital required to build stock without compromising future sales,” the company’s pitch on Angels Den reads. The company claims that since Scotch whisky is aged for an average of 10 years, there is a “big working capital problem in the industry” which can be mitigated by early investment. 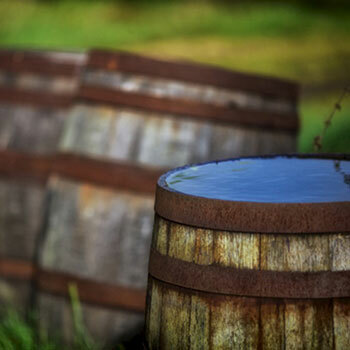 “We will make maturing whisky investable by private individuals by introducing crowd funding of barrel whisky,” it added. The firm expects to launch its IPO, or achieve outright acquisition, in three to 10 years’ time. Earlier this year, rare whisky index Rare Whisky 101 (RW101) revealed that the amount of investable Scotch whisky sold at auction had reached a record high. If you’re interested becoming an investor in Scotch whisky, take a look at this list of the top 10 most investable Scotch whisky brands.